Breena Beauty always impressed me with their packaging and the quality of products. This is how the box looks like. I like the detailing of the boxes.and it is beautiful. Here the 6 NEW Shades of their Velvetcreme Lip Matte. Breena Beauty Velvetcreme Lip Matte is a high pigment liquid lipstick that comes with a smooth velvet matte finish. It means that when you glide it on the lip, it feels velvet creme and once it dries it turns to matte finish. This lipstick is suitable for those looking for a long-wear lippies that stay all-day. 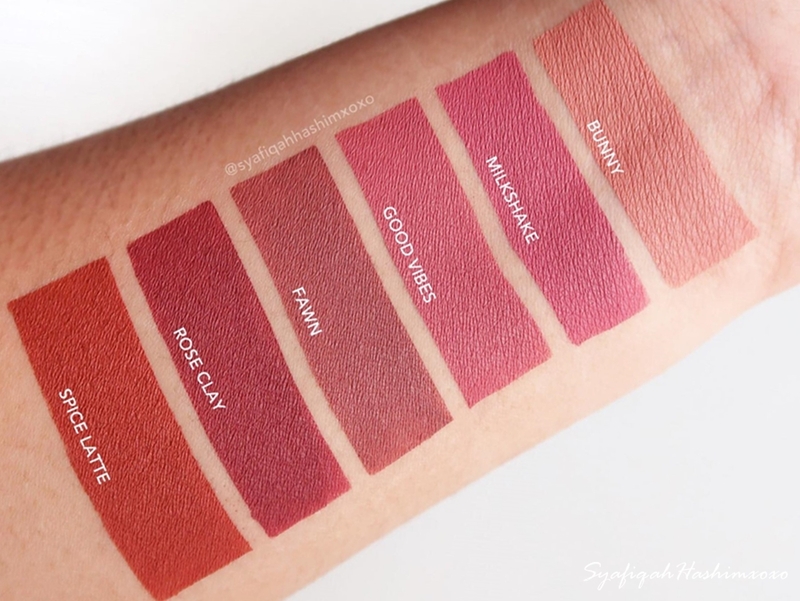 It also a transfer-proof liquid lipstick that stay nicely on the lips even after drinks. Unless you eat oily and greasy food then it will fade-off. The new color selection really beautiful. I really like it and my favorites goes to Milkshake, Rose Clay, Spice Latte and Fawn! If you haven't try Breena Beauty Velvetcreme Lip Matte yet, go place your order now as they having Raya Sale 2018 and you can get it at super good price (3 for RM100// RM39 each). Breena's mattes are among my fav. cantik sangat and long lasting. tak ada full collection just beli warna yang selalu pakai. yang new shades ni baru order tiga sebab tengak promo hihik.. Yes! I have to agree with that. Memang best lip matte dia. I know right! Once watched it looks different.